Friday, October 19, 2018 from 6:00 p.m. to 8:00 p.m.
Join us for the Torero Trek Networking Happy Hour in SF. All USD alumni, parents, and friends are invited! 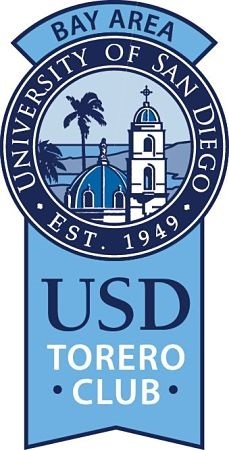 USD students will trek from San Diego to San Francisco to meet with prospective employers at Williams-Sonoma/Pottery Barn and the Oakland A's. Afterwards, they'll be joining the alumni, parents and friends networking reception to meet local Toreros. What a great way to bring the entire USD Bay Area family together! The networking happy hour will take place on Friday, October 19 from 6:00 - 8:00 p.m. The cost to attend is $10 per person and includes heavy appetizers and one drink ticket. We hope you can join us for this great opportunity to build personal and professional connections with other USD alumni, parents, friends, and students and enjoy each other’s company. Not to mention this is a great way to get involved and hear what's going on at USD!